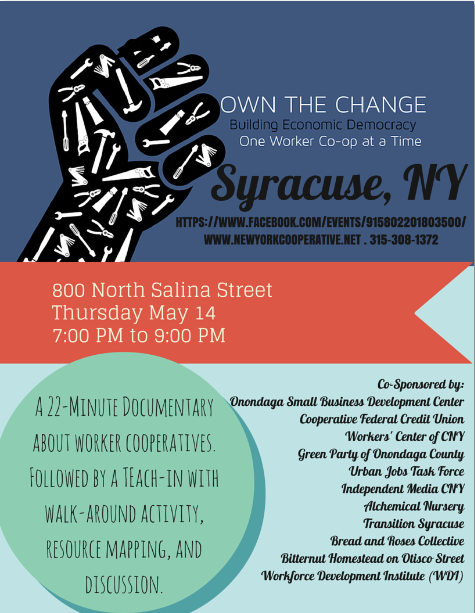 The documentary Own the Change will be screened this Thursday, May 14 at 7PM, and will be followed by a workshop on how to grow a successful cooperative. For more information, visit the Facebook event page for this event. This entry was posted in Uncategorized and tagged cooperative, event, film, workers, workshop. Bookmark the permalink.